First things first, the new translation of Pippi Longstocking illustrated by the most wonderful Lauren Child is now out. I saw some sample pages at ALA and *drool*. But today, I thought we'd deal with some old school mysteries. And when I say old school, I mean old school. Super old school. So, today's song is Secret Agent Man. Anyway, I would like to give a shout out to the fabulous Miss Dana, who loaned me these books in the first place, because she collects first editions of such things-- before they were repeatedly revised. But, before we get the mysteries, let's put some things in context. Despite being subtitled "On the trail of Nancy Drew, Judy Bolton, and Cherry Ames," Girl Sleuth spends most of its time discussing Nancy Drew, Honey Bunch, and the Bobbsey Twins. Mason has written a nice, light read on girl mysteries and their feminism roots. The problem lies in that she never entirely figured out what her thesis was. Part of my feels that Mason's upset because Nancy didn't grow up to have the same ideas she did. 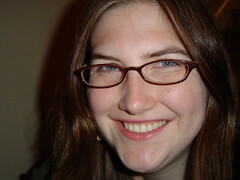 She spends a lot of time justifying why she loved and read them so much as a kid and how they were really good for her. And then goes on to blast them for being sexist and a bad influence on today's (which, at publication, would be the 70s) youth. 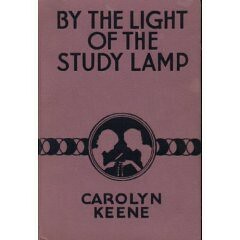 In this Girl Sleuth, Rehak gives a very interesting account of the Strademeyer Syndicate who oversaw the ghost-writing of a lot of early century series books for kids. 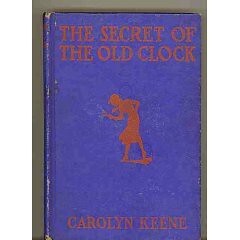 She also profiles Mildred Wirt and Harriet Adams-- the two women who were Carolyn Keene. There is also a great history of women's liberation and its effect on Nancy Drew. Very well done and very readable. I highly recommend it to those who are interested in a history of Nancy Drew. Now, this is not the same book I read a few summers ago and discussed here. This is the original. It jumps straight to the plot and is ludicrously un-PC. I have no idea how Nancy finds out about Mr. Crowley's will. It also takes much earlier than the current version. You can tell because of such sentences as "His wife had died during the influenza epidemic following the World War." And such sentences that I now find funny sad, "She was anything but attractive, for she was tall and slender to the point of being 'skinny'." More offensive, but better written than what's being published now. 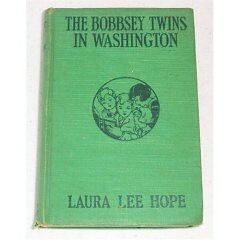 So, the Bobbsey's all go to Washington and have many adventures and solve a mystery involving things I don't remember. What I remember is that Mr. and Mrs. Bobbsey are the WORST parents in the world. There 5-year-old regularly completely wanders off all through DC and no one (a) notices or (b) cares. Yes, for kids to solve crimes and have adventures, there has to be a certain amount of lack of adult supervision, but this was ridiculous. As was the portrayal of African-Americans. Wow. Ok, this one, I really enjoyed. There are some gender role issues, but Judy seems to fight them. The mystery was really cool and I didn't feel like smacking most of the characters. This is a series I could definitely read more of. Also, rather well written. I mean, I was actually a little scared when Judy got herself in scary situations. Usually, with Nancy Drew I just yawn. Kids should still be reading this. Even if Judy is grown up and married and stuff. "same ghostwriter as Nancy--liked black people though! in all of them! terrible!" No idea what that means, besides something on my view of race relations in the Dana Girls world. But pro or con? I liked the book. I liked how (a) there were two girls and they were both strong and neither was a dumb side kick and (b) they were at boarding school so that solved the no parents issue. Plus, I like boarding school stories. This was my second favorite of the bunch. Dana sent me a whole 'nother batch of these super old school mysteries, so I'll be curling up with some more soon. Maybe if it ever actually gets like fall--it's mid October and in the upper 80s WTF?! is up with that?! First, a sort-of aside: I liked the Mason book for the way it overviewed a bunch of girl mystery series, from the practically the turn of the century through the 70s. I think I blocked out some of the more feminist arguments, because I was using the book as a source for a paper, and none of that stuff was relevant. Back to what I was originally going to say: The interesting thing about the Judy Bolton books, which Mason points out and is the reason I bought that one, is that Judy is actually an adult and married. The Nancy Drew history book pointed out how much the Syndicate wanted to avoid that for Nancy, because her image as a carefree youth needed to be preserved, like the years between 16-18 were the only ones in which a bright but properly feminine girl detective could be independent enough to solve mysteries. Judy Bolton, who was not a Syndicate character, does start addressing some of those gender issues. Alas, she did not become as lastingly popular. The woman-detective-cannot-be-married theme continues in a lot of more adult mysteries as well. None of the hard-boiled detective women from the 80s were married, and many of the women detectives who continue in that vein today, such as Robert Parker's Sunny Randall, Stuart Woods' Holly Barker, and (on a less serious note) Janet Evanovich's Stephanie Plum are all constantly prevented from having a permanent relationship. I guess this is because emotional turmoil is easier to work into an action-packed mystery than a concerned husband who feels he has the right to forbid his wife from doing her job, but it's not like those are the only two alternatives. Some mysteries lately have been breaking out of this mold. The Diane Mott Davidson caterer mysteries feature a woman who is married, and Margaret Maron's Deborah Knott finally got married, too, but both of those characters are married to... cops. Who can conveniently feed them needed information. Where are the modern day Judy Boltons? Actually, now that I think about it, none of the male characters I read mysteries about are usually married either. Sometimes their sidekicks are, but usually that just serves as a foil to show how much more daring and risk-taking the main character can be by contrast. The lack of gender equality in mysteries is failing both kinds of characters! Darn the patriarchy! And, um, stuff. The only series I can think of right now that has a husband and wife crime-solving team is Elizabeth Peters' Amelia Peabody series, which definitely has a distinct feminist bent to it. But it's set in the early 1900s, so the characters really are trying to make a political statement. 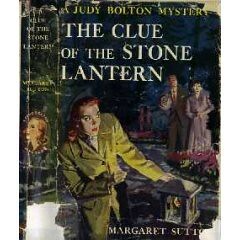 I think one of the reasons I liked Judy Bolton best, aside from the quality of writing (which I think is a direct result of the individual, non-syndicate author) is that she was so much more well-rounded as a character. I don't read a lot of mystery, especially those written for adults, but Jasper Fforde's Thursday Next is married (at least in the later books) as is his Jack Spratt from the Nursery Crime books. But, in Well of Lost Plots, having Jack Spratt as part of a loving marriage was a conscious decision to make him stand away from the pack and not be a stock character. I was such a Pippi addict as a kid! I'm hyped on a new translation. And if you are on a Nancy Drew kick... Confessions of a Teen Sleuth is a great cheeky parody of the "real" Nancy Drew story. And a quick fun read. PS (It was me being hyped on Kiki too... I forgot to let you know, though you likely guessed! I love Pippi and I love Lauren Child. I really want a copy of this.